Gobbledygeek episode 370, “Us: Down the Rabbit Hole,” is available for listening or download right here and on iTunes here. It’s 11:11, better grab your gardening shears and press play on this week’s Gobbledygeek, a discussion of writer-director Jordan Peele’s Us. This is a tricky one; it’s got more layers than a cake. 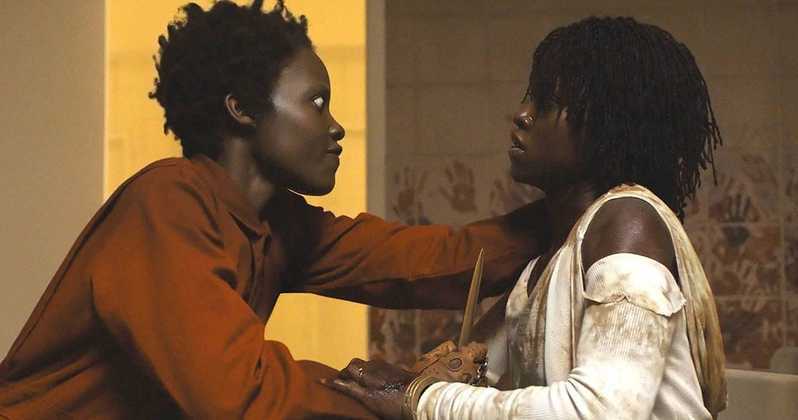 Paul and Arlo discuss Peele’s extensive use of duality and mirroring, the awards categories they’re going to have to invent to honor Lupita Nyong’o’s tremendous performance, the film’s transitions between humor and horror, and what it all means. Next: back to the void. This entry was posted in Shameless Self-Promotion and tagged comedy, elisabeth moss, film, gobbledygeek, horror, itunes, jordan peele, libsyn, lupita nyongo, movies, podcast, sci-fi, science fiction, thriller, tim heidecker, us, winston duke. Bookmark the permalink.